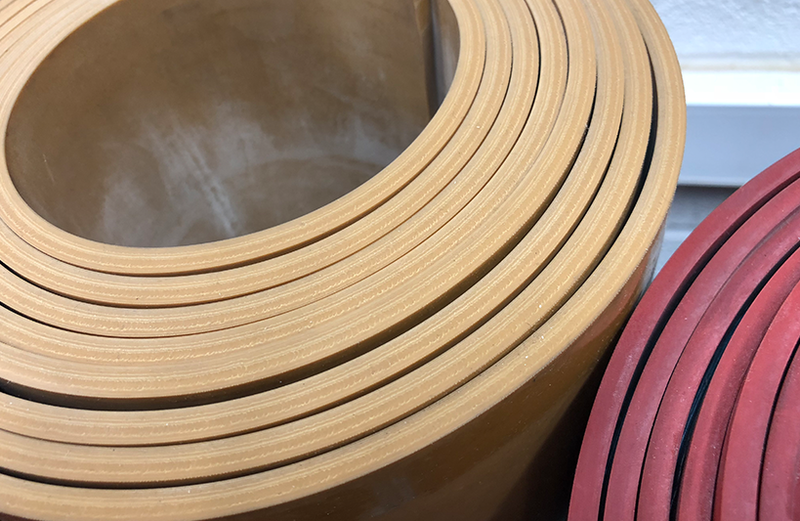 EPDM Rubber (Etyhlene Propylene Diene Monomer) is widely used in applications such as pipe seals and weather strips, because of its excellent weather and heat resistance properties. WRC Grade also performs very well in extremely low temperatures. Standard EPDM’s temperature range is -20° + 80 °C , excellent resistance to water and many chemicals. Silicone Rubber Whether it is extreme heat, extreme cold, weather resistance or electrical resistivity Silicone Rubber is among the best materials we offer. In addition to it’s impressive performance under these headings, Silicone also offers good levels of oil and fat resistance in some of its grades. With a temperature range -80° + 250°C and excellent non-stick properties possibly the only negative aspect on the use of Silicone Rubber would be its poor mechanical properties. Viton Rubber along with its (250°C) heat resistance also offers excellent resistance to chlorinated hydrocarbons, fuels and many acids. Whether your application is automotive, chemical processing or any number of other industrial applications it is Viton that best meets your specific performance requirements. Food Quality Rubber which is available in various grades including Natural, Nitrile and Neoprene, available in standard white, but also now in blue, which is favoured by many of the leading food manufacturers.